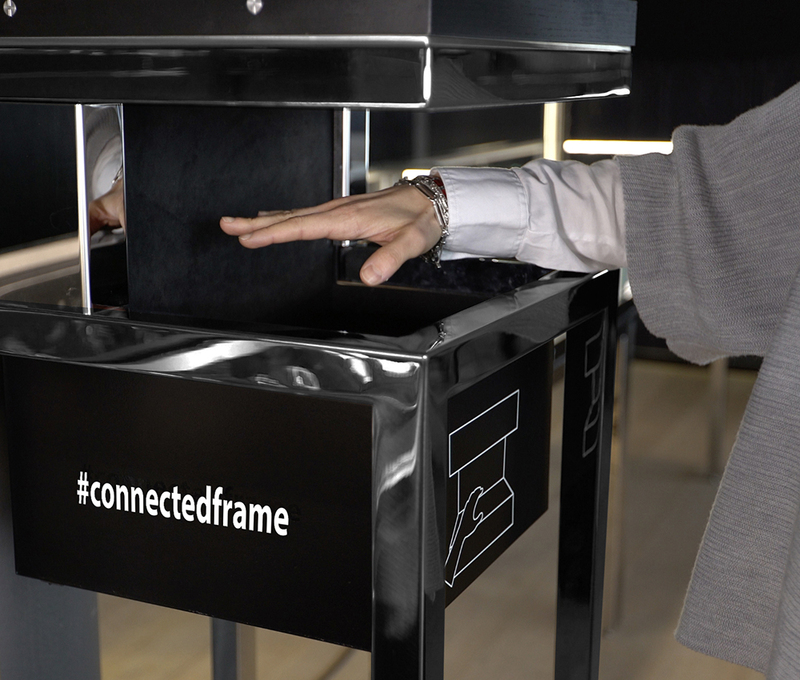 The ‘Connected Frame’ journey begins when a customer places their wrist under the showcase. 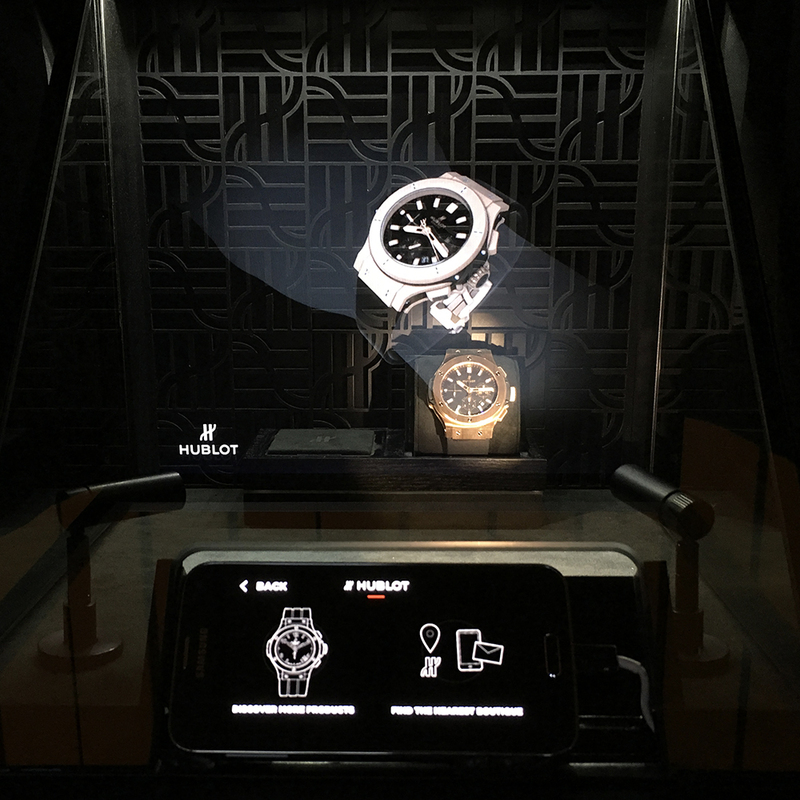 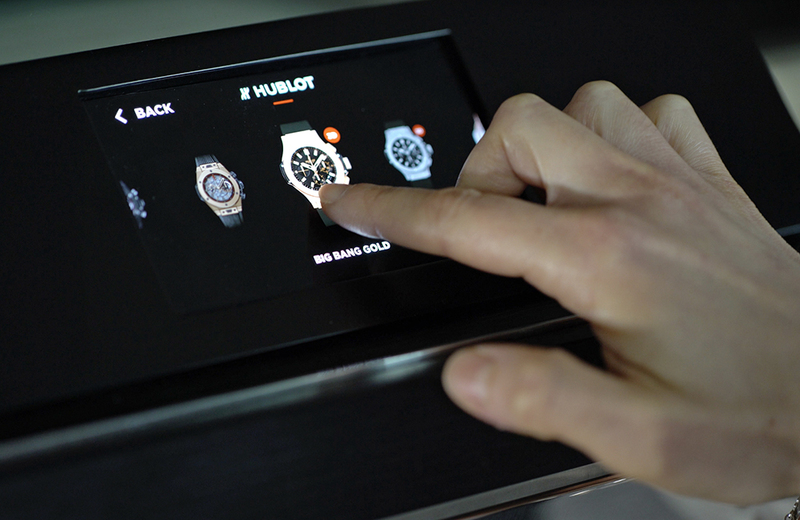 The user's movements are transmitted in real time to create a 3D holographic image of the wrist carrying the watch model of their choice displayed on screen. 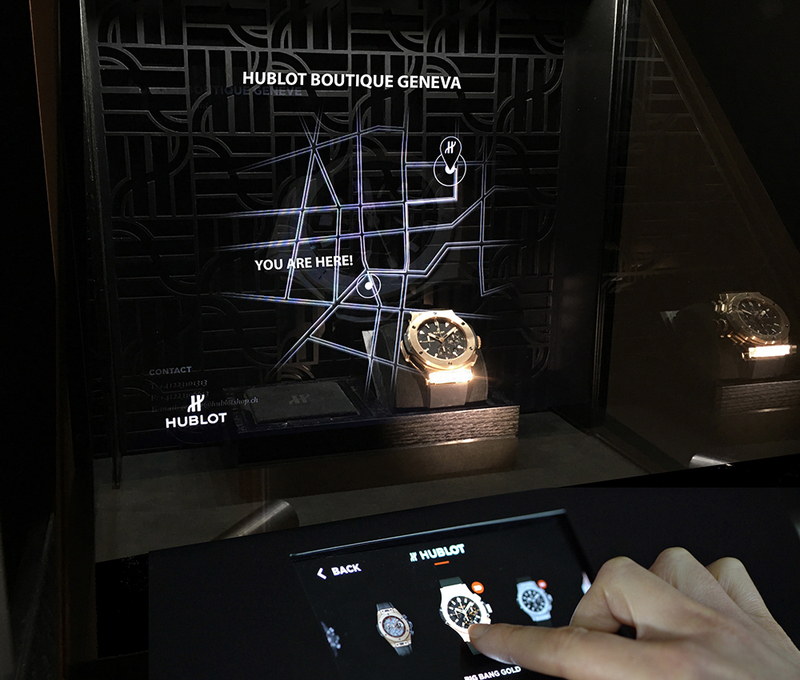 blue-infinity Linked by Isobar developed proprietary technology in-house, to perfect the virtual display and ensure an optimal experience.